The Christian Youth Center of Morris is a nonprofit, para-church organization that was established twelve years ago as pastors in the community saw the need for a youth center where teens could hang out, have fun in a safe atmosphere, and hear the gospel of Jesus Christ. CYCM is staffed by a director of ministries, adult volunteer leaders, and an organizational board. 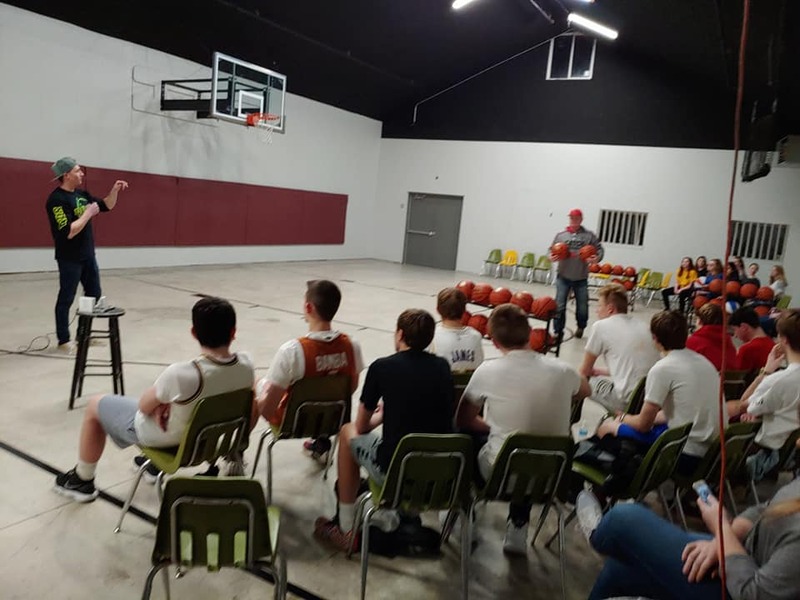 The Mission of the Christian Youth Center of Morris is to use every legitimate and godly means to attract young people to a growing, personal relationship with Jesus Christ. 1. We believe the Old and New Testament Scriptures are the inspired, infallible, authoritative Word of God and are the final authority for all matters of faith and conduct. 2. We believe there is on eternal God, revealed in Scriptures as the Father, Son, and Holy Spirit. 3. We believe that God created the heavens and the earth and all that is in them out of nothing, by His Word. 4. We believe that God created man and woman in His image, but because Adam and Eve disobeyed God, we all inherited a sin nature and became sinful and separate from God and in need of a Savior to save us from our sins and the penalty for our sins and restore us to fellowship with God. 5. We believe our Lord Jesus Christ is the only begotten Son of God, who is fully God and fully man. We believe in His sinless life, His miracles, His vicarious, atoning death on the cross, His bodily resurrection, His ascension to the right hand of the Father and His future, personal return in power and glory. 6. We believe that the Lord Jesus Christ died for our sins, according to the Scriptures, as a substitutionary sacrifice, and that all who personally put their faith in Christ as their substitute and receive Him into their lives as their Lord and Savior are justified on the grounds of His shed blood, and thereby become children of God and are restored to fellowship with Him. We believe that salvation and eternal life with God are free gifts, which are received by grace through faith in Christ and cannot be earned. We believe that Jesus Christ is the only way to salvation and fellowship with God. 7. We believe in the present ministry of the Holy Spirit, who gives believers his fruits and by whose Person, presence, and power the child of God is enabled to live a Godly life. 8. We believe in the bodily resurrection of the righteous and the unrighteous, the everlasting, conscience blessedness of the saved with God and the everlasting, conscience punishment of the lost apart from God. 9. We believe in the spiritual unity of all who have the indwelling Spirit of Christ. 10. We believe that Christ has commanded all believers to preach the good news of His Kingdom to all people and to make disciples of all who believe in Him until He returns. Inside of our Gym. We now have an official half court basketball hoop set up in our gym. We have finished our gym with walls, paint and hanging lights. We appreciate your support that made this a reality. The field behind the CYCM is great for outside activities such as MERGE! Our main room is equipped with a stage, computers, a plasma TV, a Wii U, pool table, accessible restrooms, an office, and a dining area. The front entrance of the CYCM is located in the Canal Port Community Center at the West end of Illinois Avenue in Morris, Illinois.